Sky Sports pundits preview Usyk vs Bellew, the Manchester derby, England vs All Blacks and more! Paul Merson and Carl Froch, two heavyweights from the world of punditry, go head to head in a battle of wits to predict the outcomes of nine sporting events on a huge weekend on Sky Sports. There's a cruiserweight clash in Manchester where Tony Bellew takes goes toe to toe with the imperious, undisputed Ukrainian Oleksandr Usyk, live on Sky Sports Box Office. Book Usyk vs Bellew here! England host the All Blacks at Twickenham in their second autumn international on Saturday and the 177th Manchester derby is the highlight on Renault Super Sunday. There's also live Formula 1, NFL, NBA, ATP Tennis, Grand Slam Darts and Women's T20 World Cup cricket to get stuck into across a stellar weekend. You know what, people are underestimating Bellew's boxing ability. If he can use his boxing brain in the early stages, he can get to Usyk with his power later on. I'm hopeful that Tony can knock out Usyk, and cause a massive upset that would turn him into a superstar. If he's going to win it's going to be by way of knockout. Head says Usyk, heart says Bellew. I'd love to see Bellew win but Usyk is good, really good. The one thing about Bellew is that no matter what he will not give up, that's what I like about him. He's a warrior, he'll fight and fight, but I just think this is a bout too far. He'll give his all but Usyk is different class, he'll grind him down and stop him in the ninth round. But I seriously hope I'm wrong because I'd love to see Bellew win. He's a top bloke and a better fighter than people think he is, a lot better. I like people who don't give up, you see it in a lot of sports but, to his credit, Bellew doesn't do that. This will get you going... the opener for Saturday night's undisputed battle between Oleksandr Usyk and Tony Bellew. United have big problems at centre-back. If United start like they did against Bournemouth, then the game will be over inside 15 minutes. It wouldn't surprise me if City win this 5-0, but this is Jose Mourinho, who always turns up in the big games. He'll have a plan to keep United in the game. City will be nervous despite United being the bigger club. 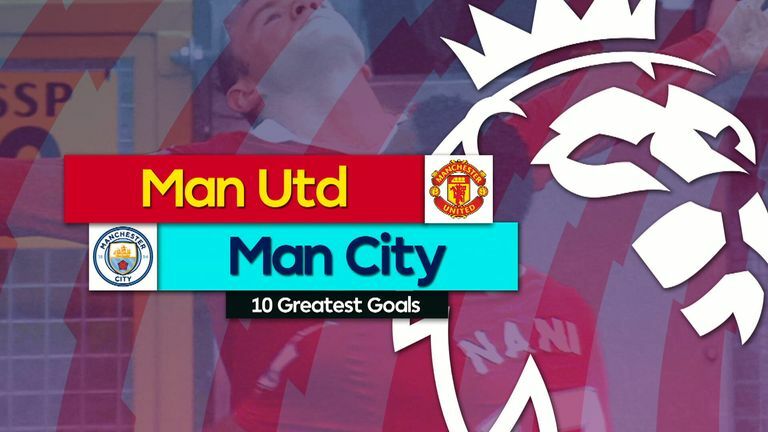 The pressure is on City as they are expected to win. I think they will 3-1. I've got to say I used to like Jose Mourinho and the things he used to come out with, but he looks like he's lost it this season. That said, they nicked a win in Italy so you never write United off in a derby, even if City are flying. They are slick, good to watch, but this will be close. I'll go for City to win 2-1. I am all for the British bulldog, and England usually find a way at Twickenham. But, although I am fiercely patriotic, I can only see the All Blacks winning. They are brilliant, physically and mentally. The Haka is awesome and intimidating but it shows the mindset they've always possessed. 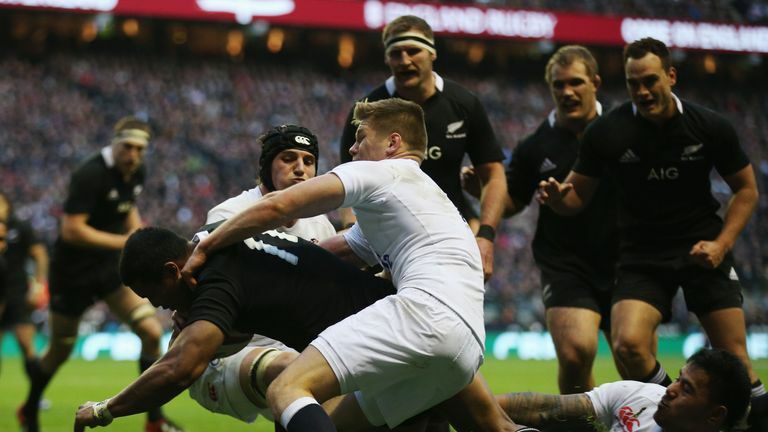 England will give it a real go, but New Zealand will win by at least five points. It has to be the All Blacks. England were poor against South Africa, despite edging the win. New Zealand rested a load of players against Japan in preparation for this game so they'll be fresh. England will have to score tries to have a chance of winning, New Zealand will cross over at least three times and I don't see England being able to match that. New Zealand to win by double figures. England ended New Zealand's 20-game unbeaten run with a simply sensational 38-21 victory over the world champions in 2012. 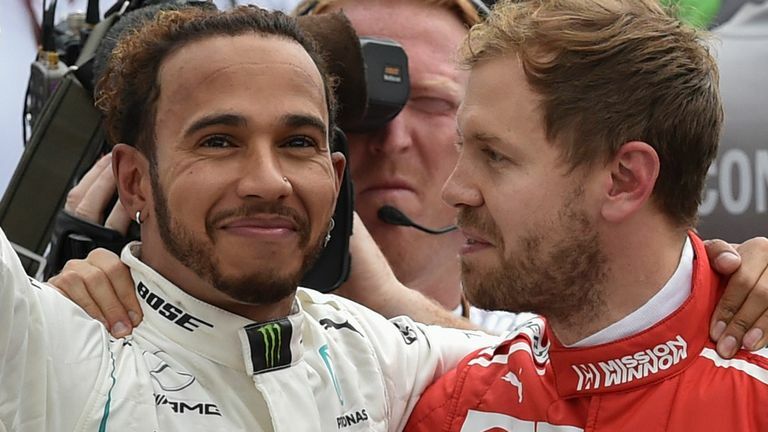 I've got to go for the recently-crowned world champion, Lewis Hamilton. The title is in the bag so he'll be relaxed, all he's got to do is go out and drive! Lewis Hamilton is officially the best, but I can see him trying to remind everyone. He has the best car and the best team behind him, but is he the best out there? The technology and mechanics play such a major part, it is sometimes not as 'human' as I used to love. That said, Mercedes will clinch the constructors' title this weekend and I expect Hamilton to be the one to seal it. Hamilton wins again. Lewis Hamilton celebrates after winning his fifth world title. Give me Rocky and Bernard Hopkins every day of the week, so the Eagles will do this. Dallas always look smart and a little bit aloof, but there is no better fighting town than Philly. Eagles to soar on Sunday. Big game in the NFC East, with the Eagles and Cowboys looking to keep pace with the Washington Redskins. The Cowboys had a bad result on Monday night losing at the Titans. Eagles are far from firing but they are at home and I see them winning by 10 or more. 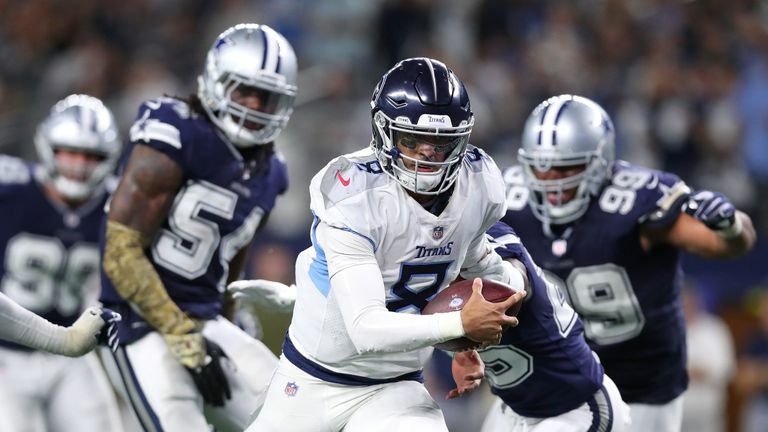 Highlights from the NFL as Tennessee Titans took on Dallas Cowboys in Week 9. The Bucks may have the 'Greek Freak' Giannis Antetokounmpo in their ranks but I'm going for the LA Clippers here. They're at home, they'll win by seven. Back in 2005 I was out in America with Howard Eastman, who took on Bernard Hopkins in the Staples Center and I remember there was a massive NBA game there as well - I didn't go. I do regret it because it looks like a great entertaining night. But I do think the Milwaukee Bucks will win. 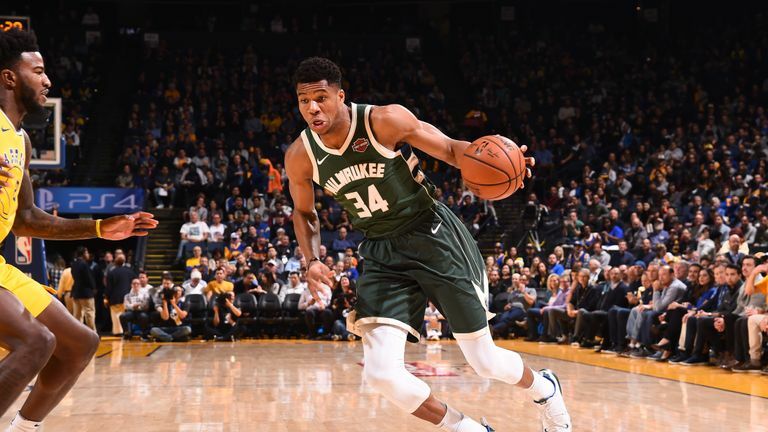 Giannis Antetokounmpo scored 24 points as the rampant Milwaukee Bucks cruised to a 134-111 victory over the Golden State Warriors. I know Novak Djokovic lost to Karen Khachanov earlier this week but he was struggling with flu. 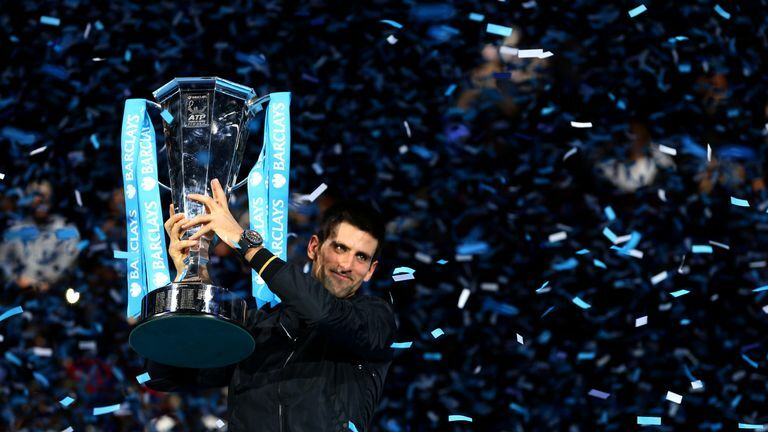 He is still the world's No 1 and I think he will stay there for the foreseeable future. I expect him to be back to his best and reign supreme at the O2. I know Novak Djokovic had an absolute shocker against Karen Khachanov in the final of the Paris Masters but having beaten Roger Federer in the semi-finals in France, he holds the advantage for me. I've always got to go for Michael van Gerwen. He's head and shoulders above everyone else. He like the Ronnie O'Sullivan of darts, if he finds his A-game nobody will stop him. It's hard to go against Michael van Gerwen. The bloke is a mate but he is just too good to go against. I do like the way Gary Anderson plays, though. He is so calm and cool, takes his time and is good under pressure. It has to be Van Gerwen or Anderson but I'll stick with my mate. MVG again. I am not a big cricket watcher but the T20s out in the West Indies would be good! The Windies are the defending champions and are on home soil, while Australia are top of the world rankings. It's a tough call picking the winners here but I've got to back England all the way. When's the Brazilian GP on Sky? You cannot look further than Australia. They are the dominant force in the Women's game at the moment. England will push them all the way but I don't see any of the other sides - New Zealand, Pakistan or India - mounting a challenge.